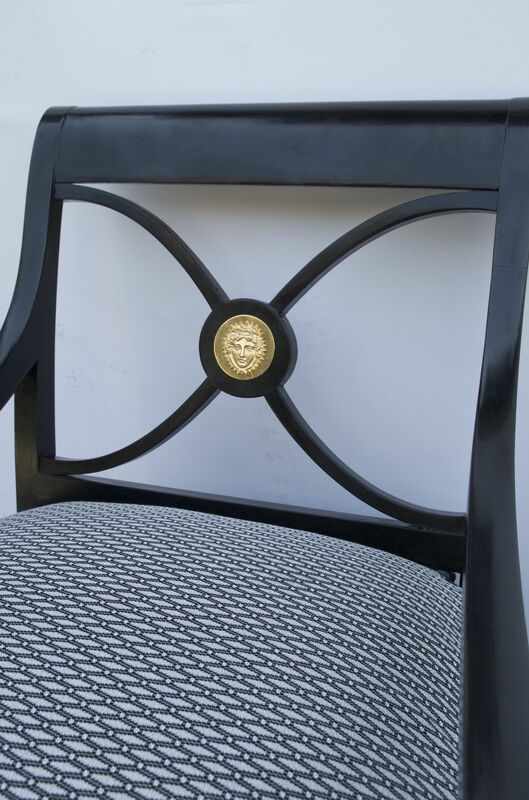 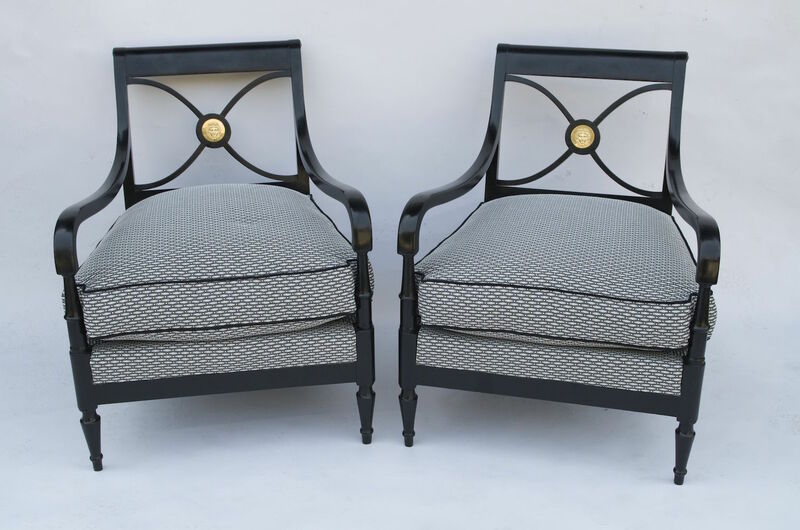 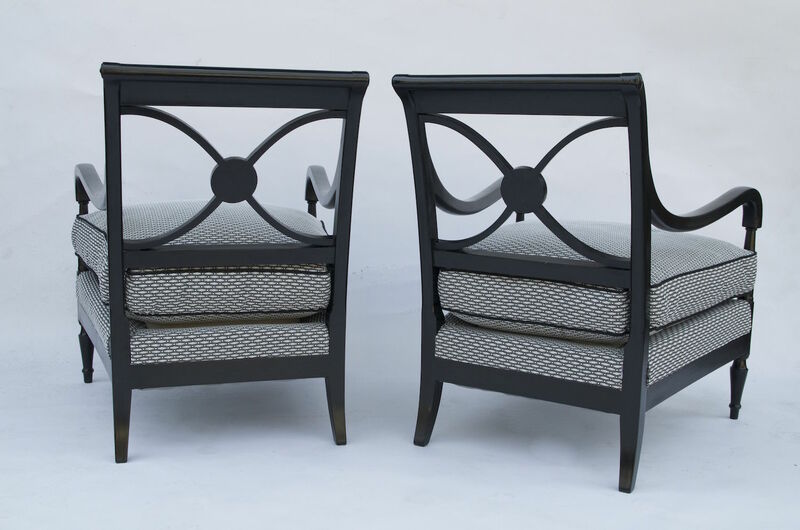 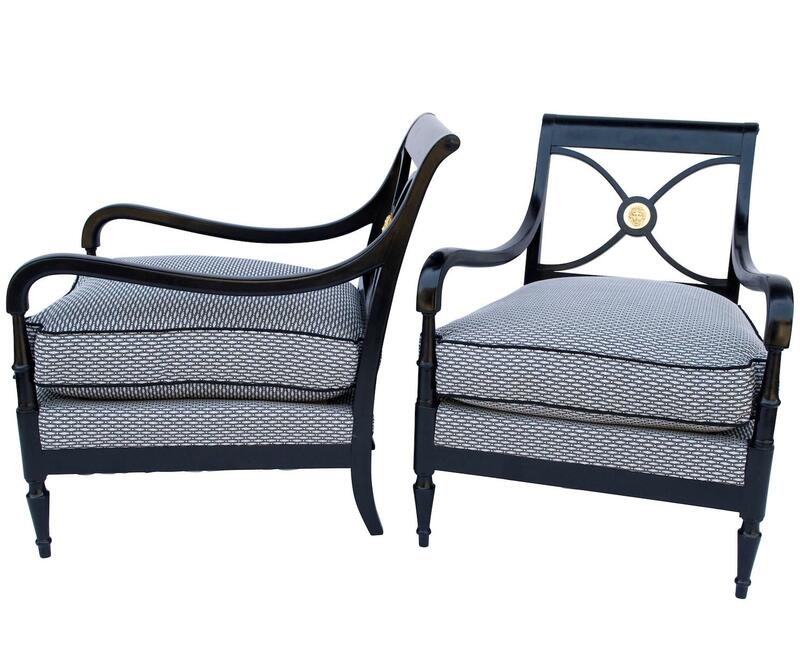 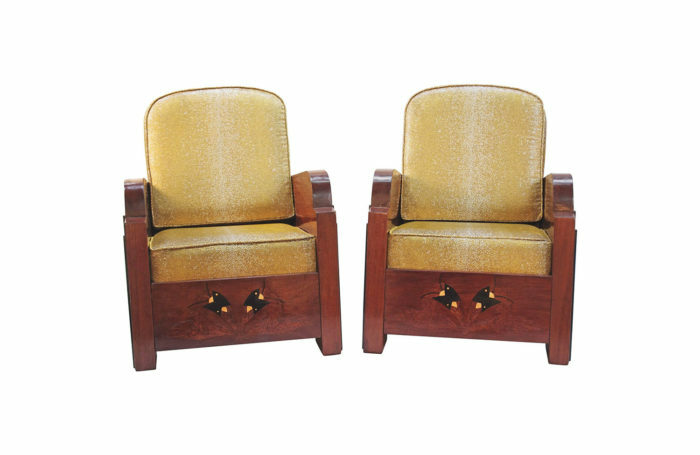 Pair of Empire style armchairs in black lacquered wood. 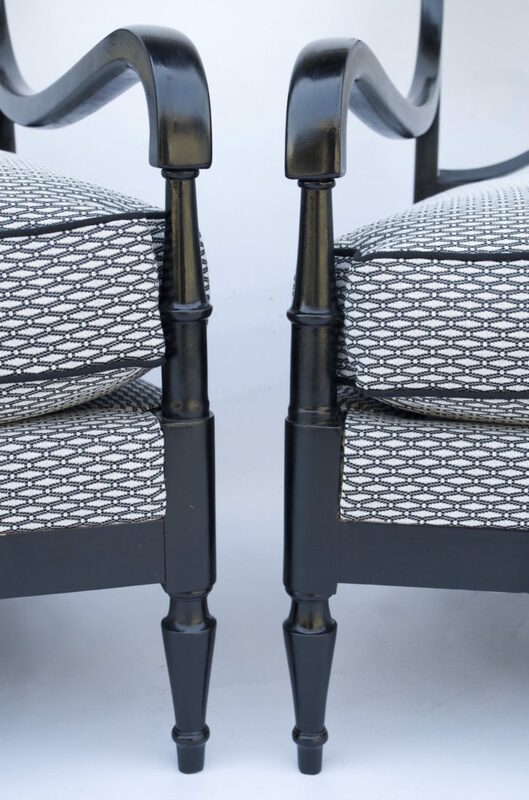 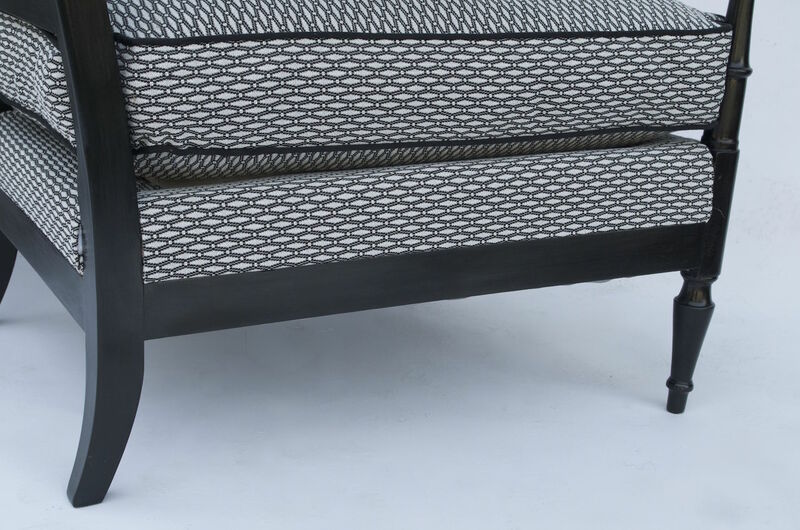 Two back saber legs, truncated cone front and wide rectangular seat with a black, grey and white trim. 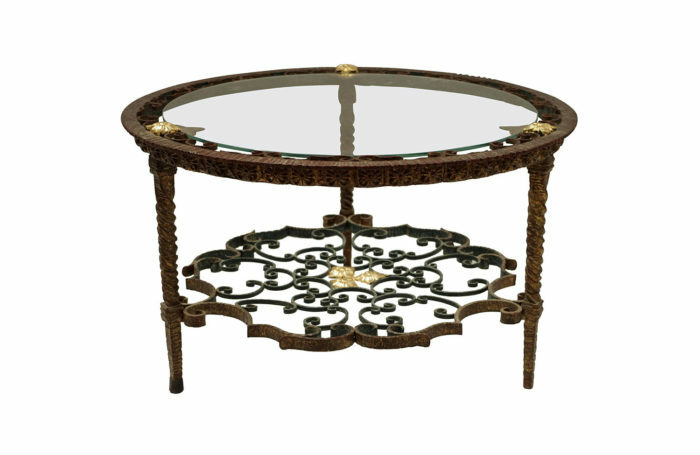 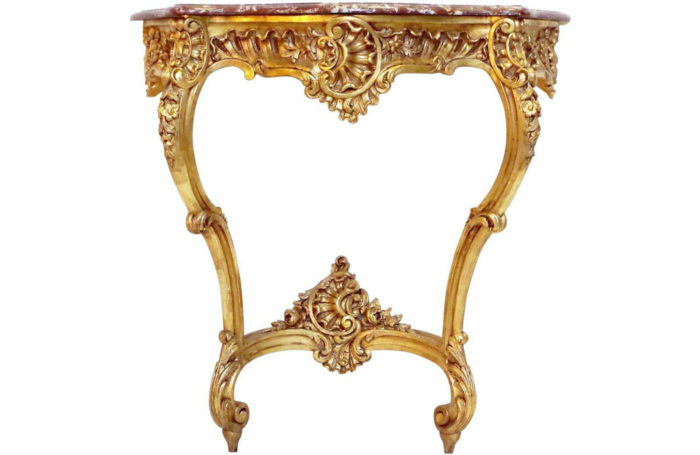 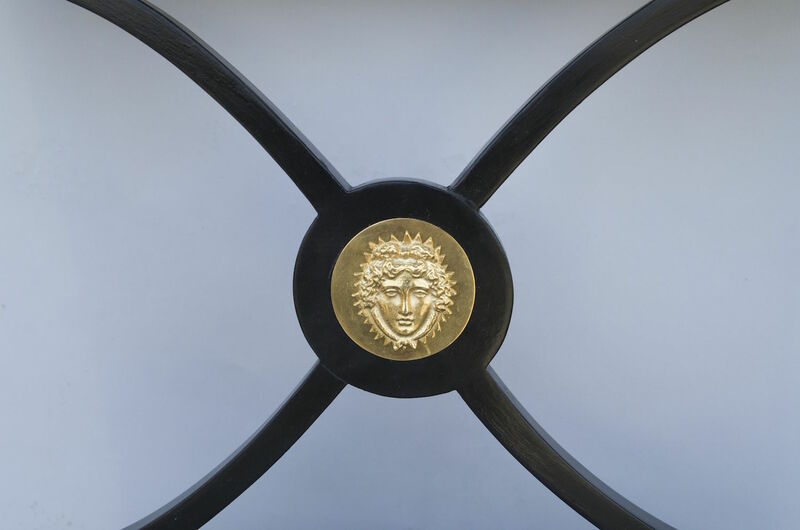 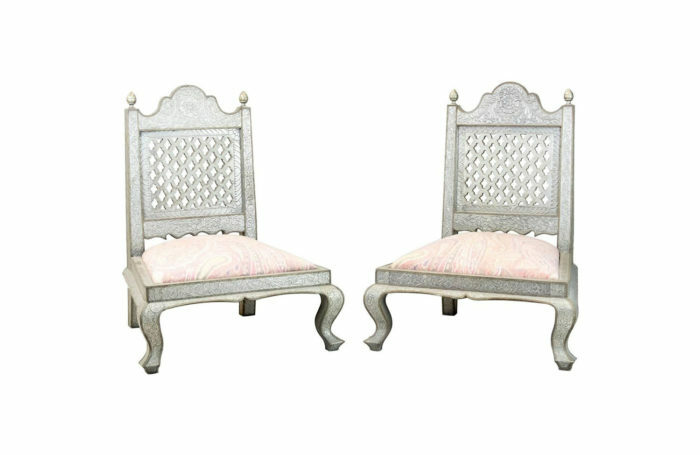 Console shaped armrests with an open work back seat decorated with a “X” and a gilt brass mascaron inlaid in the middle. 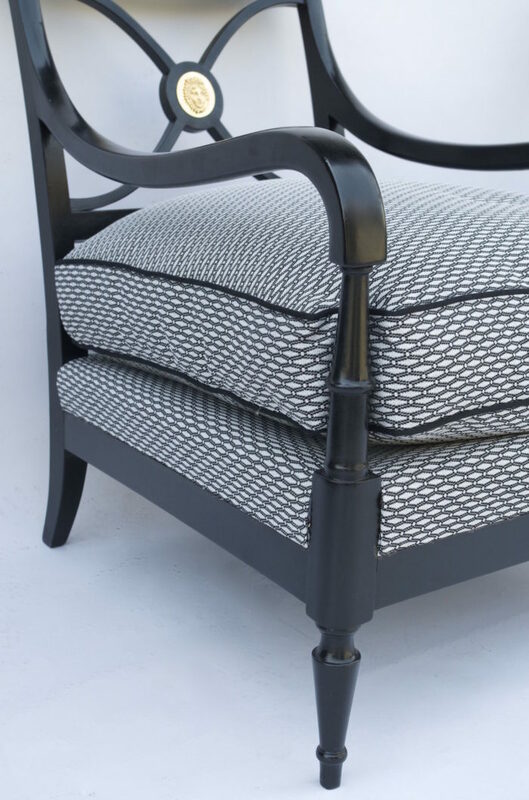 Black, white and grey fabric. 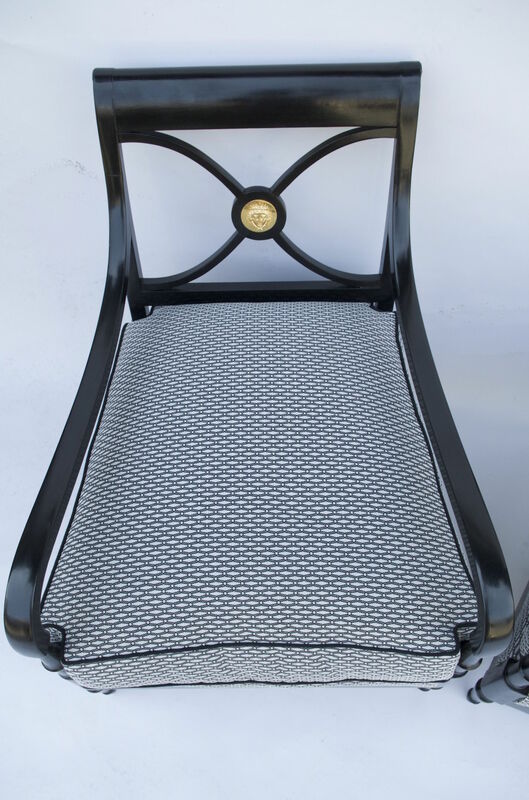 Attributed to the Maison Jansen, work realized circa 1940.